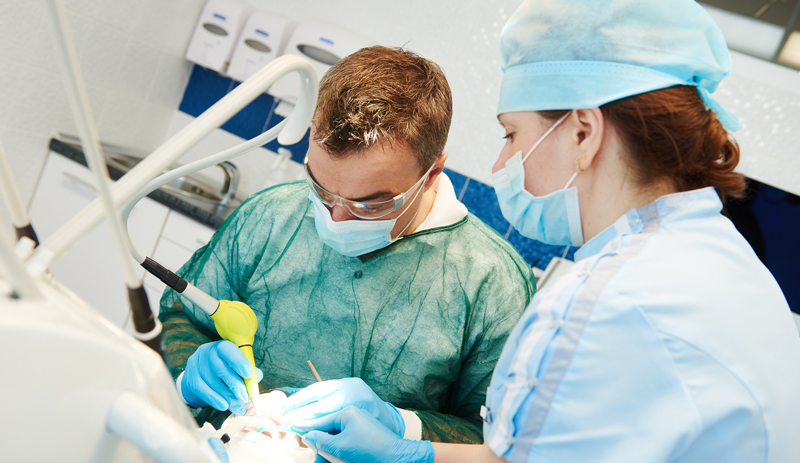 If you have just had an extraction, a root canal, or a dental implant, it is important that you follow these Post-Operative instructions. DO NOT rinse or swish your mouth with water or mouthwash for 24 hours. It is important not to disturb or wash the clot inside the socket area protecting the bone. When that happens, the exposed bone may cause a very painful “Dry Socket.” If you are thirsty in the next day, slowly sip from a glass. Avoid using a straw to drink, or blowing your nose, or excess spitting. Avoid acidic juices, carbonated drinks and hot beverages. DO NOT smoke or drink alcohol for at least 3 days as they increase your chances of experiencing “Dry Socket.” DO NOT use mouthwash as it contains alcohol which also has a drying effect. AFTER 24 hours, slowly gargle with WARM salt water 3 times daily for a few minutes at a time. This will encourage the area to heal more quickly, and it also helps wash away excess bacteria which may have formed around the open wound. USE a mixture of 1 teaspoon of salt per 1 glass of warm water. CONTINUE to bite on gauze in your mouth until you leave the office and reach your destination. Once there, you can remove the gauze to check for bleeding. If there is no bleeding present, you don’t have to replace the gauze. If the gauze is saturated with blood, remove it and take 2 to 3 sterile gauze squares from the packet you received. Fold them in half twice and place in the surgical site. Apply pressure by biting down for half an hour. After that, repeat this process if necessary. Once there is no more bleeding, you no longer require the gauze. If excessive bleeding occurs, bite on a damp regular tea bag for half an hour. IF BLEEDING PERSISTS, contact our office immediately. If the office is closed, call Dr. Syme at 403-615-9046. Avoid any strenuous activity for approximately 2 days. SOFTER FOODS might be on your menu for a few days. Avoid spicy or acidic items. Make sure your food is warm and not hot. GENTLY BRUSH. Keep the surgical area clean with a very soft toothbrush, and avoid placing bristles directly into the surgical site. Do not use toothpaste. Use gentle brush strokes to cleanse as this will reduce the bacteria and promote healing.